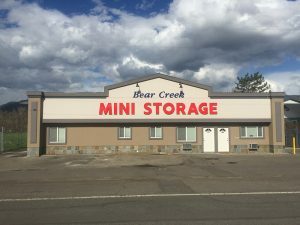 Medford, OR – Argus Broker Affiliate Scott King of Merit Commercial Real Estate in Medford, OR is pleased to announce the sale of Bear Creek Mini Storage located in Talent, OR. The 26,300 SF property sold on November 15, 2018 for $2,780,000. This sale was unique in that the seller had purchased the facility in 2016 while it was non-operational due to a failure of management and deterioration of the facility. The sellers physically upgraded the facility to introduce current technology, and then leased up the facility with the intent to divest after full absorption. The lack of historical performance made underwriting quite involved in that current rent rolls, buyer’s experience, facility condition, and the local market/competition became more important during the underwriting process. Scott King is the Argus Self Storage Sales Network broker affiliate representing the state of Oregon. He can be reached at 541-890-6708. Based in Denver, Colorado, the Argus Self Storage Sales Network (ASSSN) was formed in 1994 to assist owners and investors of self-storage with their real estate needs. Through the years, Argus has assembled a network of real estate brokers experienced in self-storage and income property investments. Now the largest self-storage brokerage network in the United States, the ASSSN has 36 Broker Affiliates covering nearly 40 markets. These brokers are able to meet the needs of self-storage investors and owners whether it is acting as a buyer’s agent or listing and marketing a property. For more information call 1-800-55-STORE or visit www.argus-selfstorage.com.